Using the best wastewater treatment pump to eliminate waste is essential for industrial companies. The effective operation of any facility relies on the dependability of their processing equipment. Most facilities such as waste, sewer and chemical plants, collect and process millions of pounds of waste materials each day. In order for these companies to continue providing exceptional services to their customers, they need the most efficient industrial water pump on the market. If you own or supervise a chemical or waste treatment plant, you want your company to use the best equipment. Any wastewater treatment pump is designed to meet the needs of companies such as yours, which are throughout the world. We offer solutions to waste problems, without sacrificing quality or good service. We offer technical support for the equipment we carry. At Phantom Sales Group we maintain our commitment to provide your company with state of the art industrial water pumps, wastewater treatment pumps and industrial pump supplies and accessories. 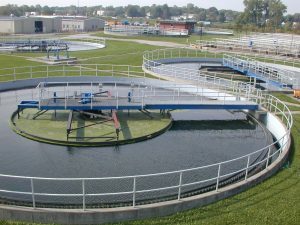 Wastewater treatment pumps are designed to process sludge, sewage, and chemical matter. Processing waste is strenuous and time consuming; using the right equipment can make waste processing easier and less lengthy. We pride ourselves on our large inventory of name brand pumps, from various manufacturers. We believe you should have a choice when it comes to choosing the style of industrial pumps you want to use. At Phantom Sales Group, we want you to be happy with your selection. Contact us to find out which industrial or wastewater treatment pump is right for your facility.